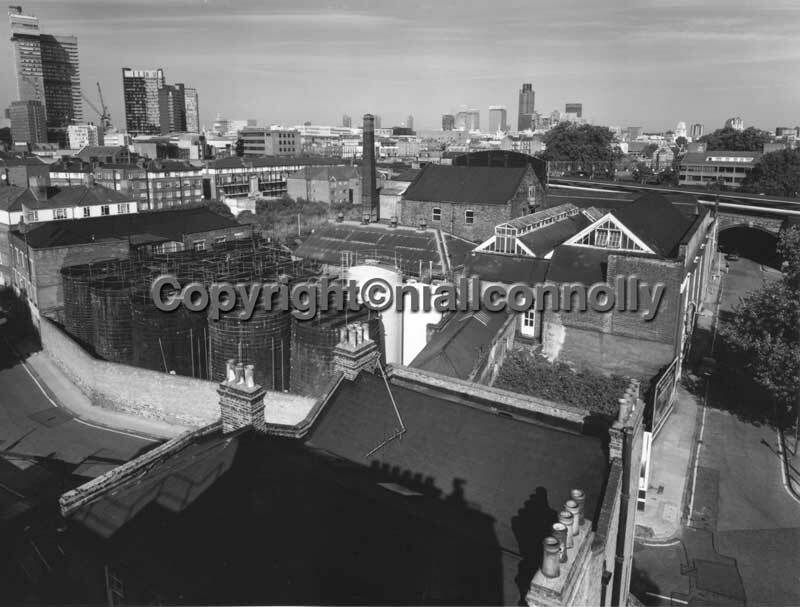 A view made from above Sarson's Vinegar Works showing the vats in the left foreground and, in the middle distance to the left of the Sarson's chimney, you can see the wasteland that was White's Grounds, formerly known as Artillery Row. The building in the immediate foreground was a pub but, for the life of me, I can't remember its name. 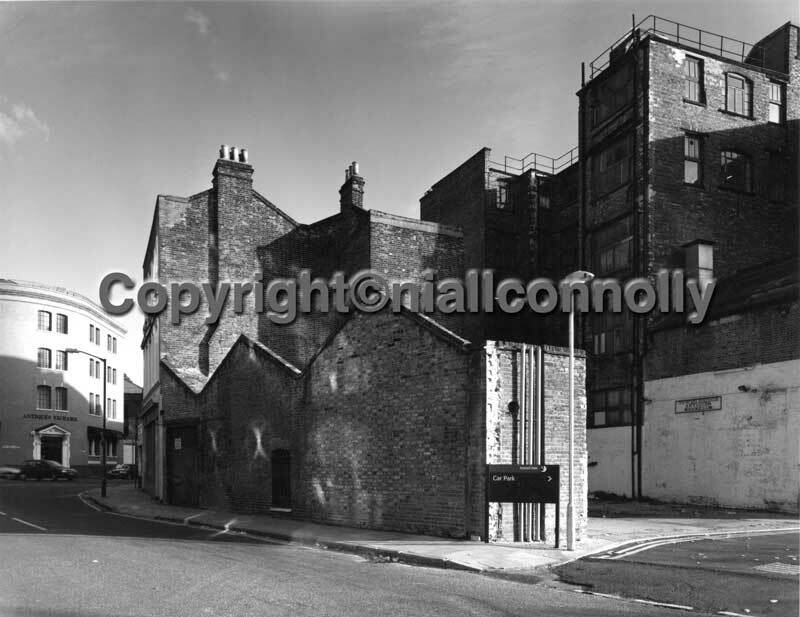 This is a view of the buildings on the corner of Tanner St and Tower Bridge Road, where I made the 'high' view at the top of the page. I must have made the views of Sarson's from the roofs to the right of the right hand chimney stacks.